At the newly renovated Fairfield Inn and Suites Butler you can count on a friendly welcome, a clean and comfortable room or suite, great features, perfect amenities just right for you. Ideally located off Rte. 8 and Rte. 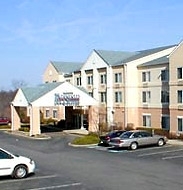 422, the Fairfield Inn and Suites is convenient to shopping, dining and area local attractions. 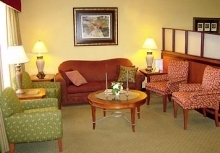 Wake up to their complimentary "Early Eats" extended continental breakfast. Relax and unwind in the indoor pool, whirlpool and 24-hour business center. Stay productive while on the road with complimentary high-speed Internet access in all guest rooms and a functional business center with printing, faxing and copying options. Whether traveling for business or pleasure their unparalleled service will keep you coming back.